Good size villas and beautiful beach and nature in walking distance. The environment was good and the games for kids was perfect. Everything was wonderful highly recommend it. Get value for money too. 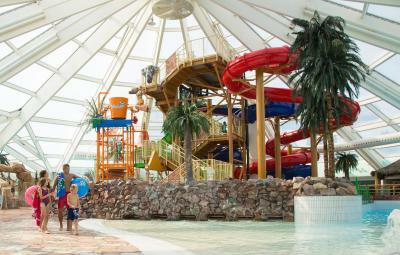 Im Großen und Ganzen ist es sehr schön dort, die Kinder hatten sehr viel Spaß im Tobeland und in der Schwimmhalle. Die Lage ist schön, direkt am Meer und nah an der Fähre und das Feuerwerk zu Sylvester war einmalig. Husene er super hyggelige. Badelandet var okay, dog med for meget rumklang. Fin stuga, rent, bra utrustning i köket saknade dock micro. Nära till badlandet, bra parkering för bilen. Vi blev mycket glatt överraskade av de härliga och sociala getterna i gethägnet. Riktigt roligt! Trevlig inomhusmiljö i Lalandia även om det var lite stimmigt bitvis. 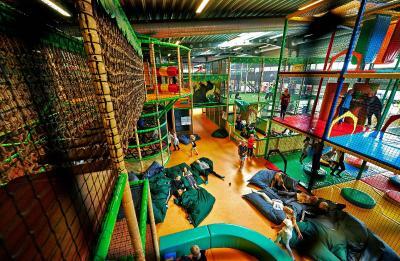 Het park is ruim opgezet en voldoende faciliteiten voor kinderen. Der Aufenthalt im Ferienpark war super, viele Möglichkeiten für Kinder und Erwachsene. Jeder kommt auf seine Kosten. Auch innerhalb des Centers war alles super! Alles in allem ein wunderschöner Urlaub. Die Anreise war super einfach, nach Übersetzen mit der Fähre innerhalb von 10 Minuten da. Nahe am Strand, sogar Parkplätze mit Duschen und Toiletten. One of our top picks in Rødby.Lalandia Rødby Resort is situated on the Lolland coast, 1.6 miles from Rødbyhavn town centre. 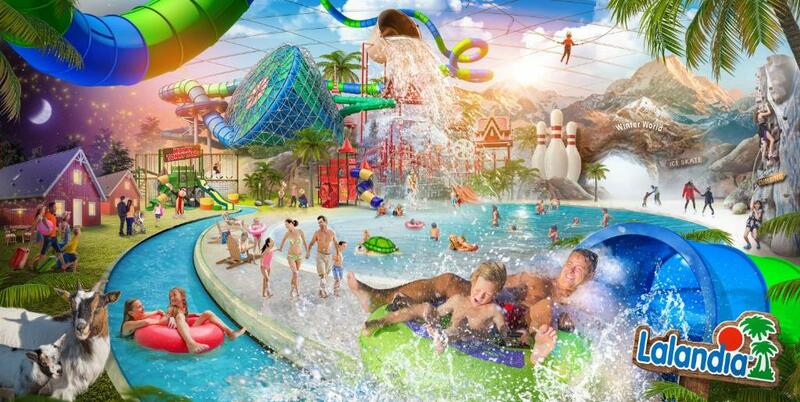 It offers free parking, spacious holiday homes and free access to Lalandia Water Park. 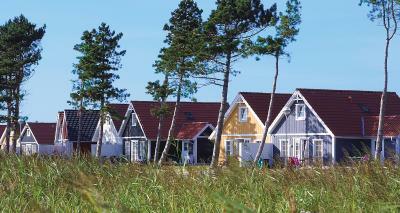 All holiday homes at Lalandia Rødby feature a living room with a seating area and a TV. Each is equipped with a kitchen and a private bathroom with shower. Children and adults can play and relax in 25.000㎡ tropical Water Park with swimming pools and water slides. 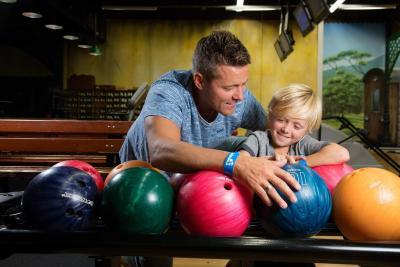 Active guests will enjoy the gym, bowling alley and table tennis facilities. There is also a cinema on site. 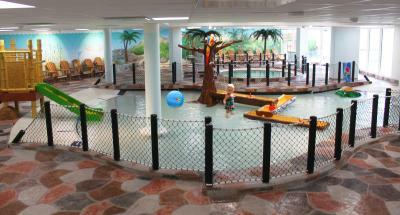 The resort offers a range of dining options, serving both danish dishes and international cuisine. 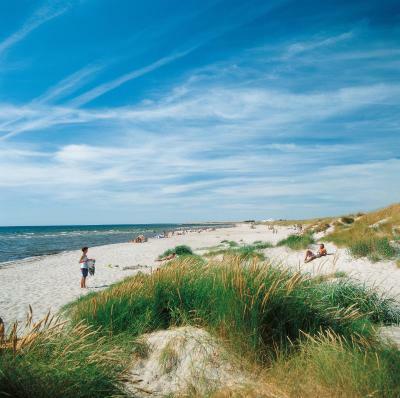 Rødby Beach is 250 yards from the resort. Rødby Station and the ferry terminal for Germany are both within 10 minutes’ drive. Lalandia Rødby has been welcoming Booking.com guests since 12 Jun 2008. When would you like to stay at Lalandia Rødby? - Living room with a seating area and TV. Please note that the stairs are steep. - A washing machine and a dryer. 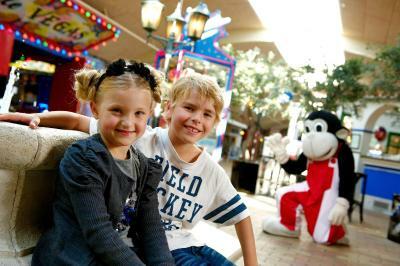 Activities for all the family The cheerful arcades are full of Mediterranean atmosphere, activities and entertainment for young and old. They offer a world of opportunities to burn off some energy and let your imagination run wild as well as offering delightful, child-friendly restaurants, exciting shops and lots of activities and entertainment for all the family, including: Monky Tonky playland, mini-golf, a bowling centre, sports hall, fitness centre, an indoor ski slope, a climbing wall, a golf simulator, a 3-D cinema and the Lalandia Aquadome™. Discover our wide selection of restaurants and enjoy everything from Italian lunch dishes to American classics in attractive and authentic surroundings, and be sure to visit our brand new Baresso Café. 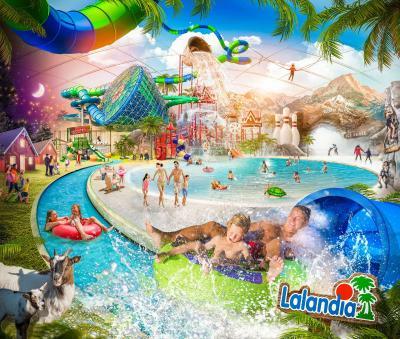 Lalandia is the setting for an enjoyable holiday for all – whatever the weather. 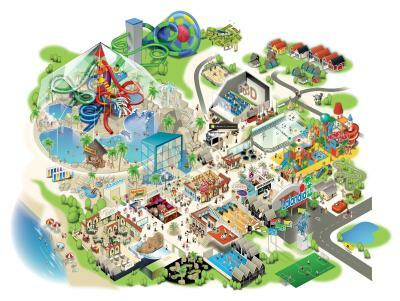 You can also visit great near-by attractions during your holiday. The Lalandia centre is only 20 minutes’ drive from Knuthenborg Park & Safari, and 40 minutes’ drive from the Medieval Centre. House rules Lalandia Rødby takes special requests - add in the next step! Please note that electricity, water and heating are not included in the rates. These come at an additional cost and need to be paid separately at check out. Guests need to bring their own bed linen and towels or rent them at the Lalandia Service Centre. If you have any special requests or other queries please contact Lalandia Rødby Resort directly. It is very crowded and pool area or playground are packed with people and there is no way to swim or play just an square meter to get wet. There are many below middle class conservitive people among the guests. I would not recommend for people with origin outside Denmark . You and your kids will get a lot of discrimination by other local guests which make it very uncomfortable place to have vacation. Lot of people, small shower areas in changing rooms, que lines were long. You should climb a leader to go up to the beds. My mother is handicaft. They gave her a bed that broke. We asked to bring another. Only in the evening after calling again they did. They said it should go to the garbedge. It is located on a beutiful place.